What does landing page conversion mean? – Specific page on a website, design and created for the visitors that helps with marketing reference, designed specifically to achieve a marketing outcome. 3. Tabbed landing page or microsite. The process of understanding on how to make the landing page effective is to know the complete range of places the visitors may originate. Three main origins that need designing for the landing page to adjust. 1. Online media placements- By a click through, visitors will find it easier for online referer like search engine, online ad, affiliate sign or e-mail campaign. 2. Offline media placements- These offline ads or direct mail may have a specific campaign URL. 3. Visitors that navigate from elsewhere on the site- They do not use it as a landing page, but still need to be accommodated, if a deep linking strategy is used. – Supporting elements like testimonials or security badges. – A form to capture a visitor’s information. – If the visitors click on the CTA for a free offer but find a catch on the landing page, you will lose their trust that every time. Vice versa, if the headline reads differently from that of the CTA it might lead to confusion and doubt for the visitors, wondering if the CTA is linked to the wrong page. – Keeping the headline clear and clean. – A cluttered page usually results with a lot of confusion and distraction for the visitors. Keep the text and images on the page simple and to-the-point. 4. Give more stress on the offer’s value. – Mark up the benefits of the offer with a brief paragraph or maybe a few bullets works. – Including social media buttons, enables your prospects to have a follow-up with your content and offers. – A social media marketing company makes it easier for you to deliver branding goals and information. 7. Reduce stress with proof elements. – Giving personal information to a stranger takes a lot for anyone. – Adapt these features to your landing page to help reduce this stress of your visitors and help have a relationship of trust. – Add a privacy message, indicating visitors email addresses will not be shared. – Include security seals, if your form requires sensitive information. – Add testimonials or customers logo. A great way to leverage your social proof. – Time is very precious and to be on a continuous scale is essential for your visitors. They will not sit back and fill a long written form. – Reduce the spacing between fields or align your topics to the left of each field. – Use smart fields, dynamic forms that adjust to a shortened version. 9. Create more landing pages, to generate more leads. – Companies see a possible increase in their leads when they increase the number of landing pages from 5 to 10. – Simply means more content, more offers and landing pages you create, the more opportunities you get to generate leads for your company. 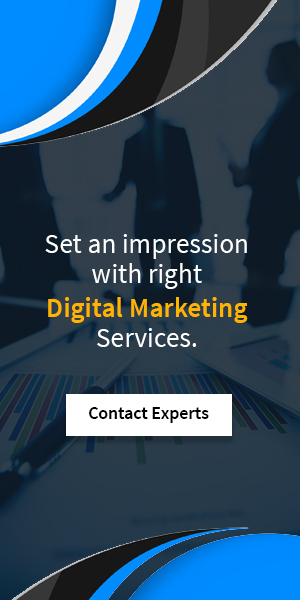 – Digital marketing services make it easier for you in understanding the same. 10. Ask what is needed. – Do not go along with the flow of collecting a lot of information at once, ask and emphasize on what is needed. Web Development India, a digital marketing company and an award-winning certified web development company offers services at its best for better development and experience towards skills to transform a visual website into reality. Seo services company, offering you everything that is beneficial and a must for your web-page. WDI works with an objective to help you have an increase in traffic and best values.